Every week Brad Symcox, Dave Barnett and Tom Childs bring you the Chiefs Kingdom, the most unique Kansas City Chiefs podcast out there. From Wembley to Wisconsin to Westeros, they have everything NFL, TV, film and more importantly Chiefs covered. Be prepared for a little off-piste conversations too. As with all good podcasts this one is available on all of the usual channels including iTunes, Stitcher and SoundCloud. 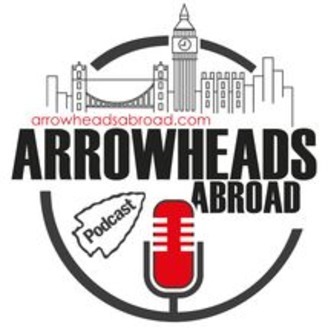 Just search ‘Arrowheads Abroad’. If you like what you hear, then hit the subscribe button, and if you’re feeling extra generous maybe even leave us a 5* review! We promise you there isn’t another Kansas City Chiefs podcast like this one. 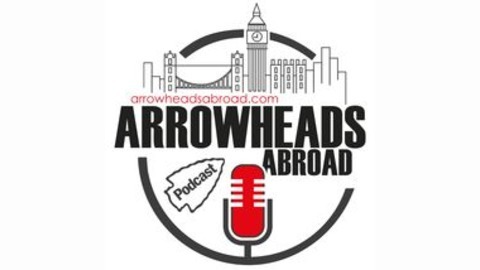 THE BLOCKBUSTER DRAFT PODCAST Avengers Endgame, Game of Thrones final season and now Frank Clark becomes a Chief! All 3 Blockbusters happening in the same month! Tom runs through why the Clark trade is an excellent bit of business by Veach. Plus Brad & Tom give you their favourite draft picks that they hope the Chiefs will select in 2019... oh and there's a Game of Thrones chat thrown in there for good measure!